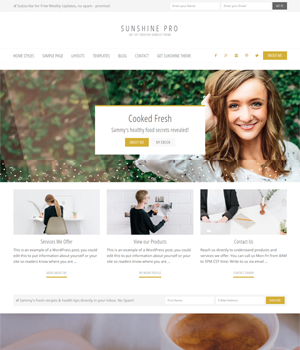 SUNSHINE PRO “Get Set Creative” theme allow maximum creativity in showcasing your online presence. Smarty mix boxed and full width widgets to easily setup homepage layout of your choice. 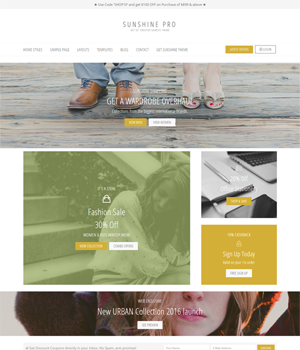 Use it for: sleek looking blog, magazine journal, practical business website, setup WooCommerce shop (or power it with Beaver Builder plugin**). 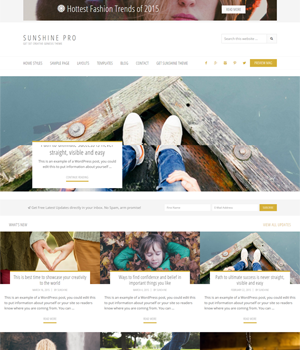 SUNSHINE PRO is a child theme for Genesis Framework. 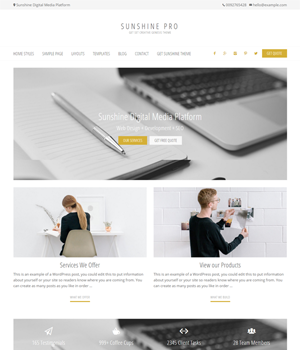 **Note: All theme buyers get access to two theme variants: Sunshine Pro and Sunshine Pro BB (Beaver Builder). Big logo image looking “off” in the mobile view? 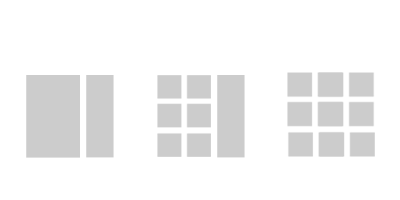 Upload more sqaure-ish and smaller logo for mobile display for a better user experience. Other logo uploader options include: inline logo image & retina logo uploader. The default ‘Genesis – Featured Posts’ widget made better with “Simple Pro Featured Posts” widget that includes: 2, 3, 4 columns layout & inline ‘Pagination’. 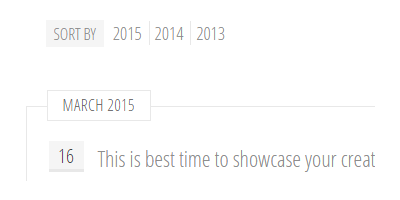 Similarly, “Simple Pro Featured Pages” to display pages in 2, 3, 4 columns. Besides the default Archive page look (that comes along with Genesis), you can switch to a more neater looking archive page showing posts year-wise and month-wise. You can create the Blog page in different formats. This includes: the default blog page format, two columns posts grid with the sidebar, three columns grid boxed and three columns grid full width.